You are buying VetriScience Vetri Bladder Bite Sized Chews For Dogs 60ct Pack of 3, model #0900600060 at ADW Diabetes, we offer a wide range of pet dietary supplements geared towards helping your pet achieve optimum health. We offer these supplements in both single and discounted bulk packs with the goal of helping you save even more. Trust ADW Diabetes for fast shipping and great pricing on all of your pet health are and diabetes testing needs. 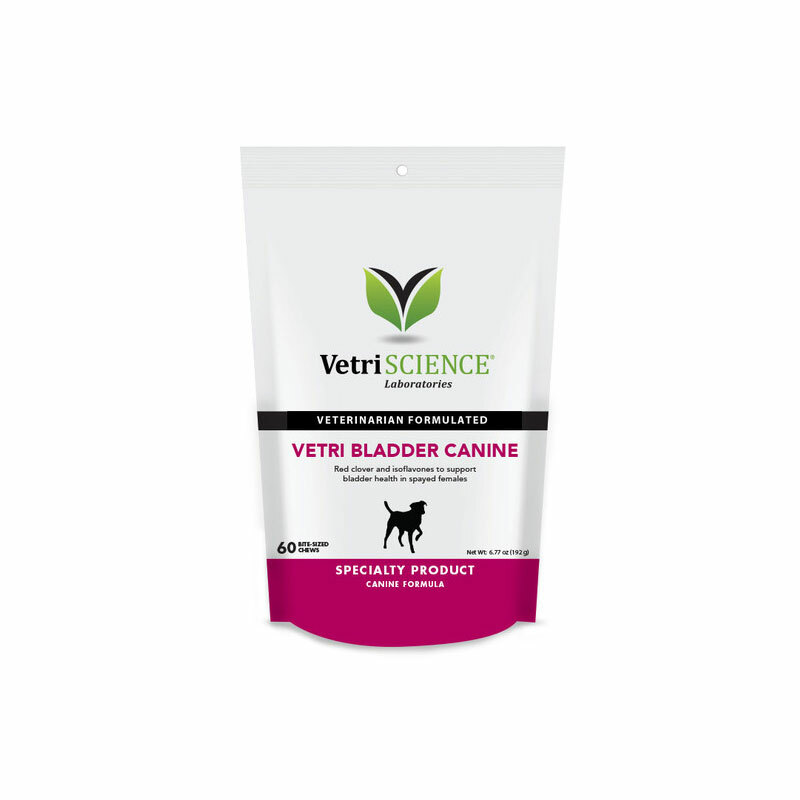 The VetriScience Vetri Bladder Bite Sized Chews For Dogs 60ct Pack of 3 is recommended for spayed females and senior pets to help maintain bladder control. This product contains soy protein extract, which is a source of isoflavones. Isoflavones are phytoestrogens (plant based hormones) that help maintain normal bladder muscle tone lost after spaying or during the aging process. Red Clover Flower Powder is considered to be one of the richest sources of isoflavones available. The estrogen-like effect of red clover isoflavones may attach to estrogen receptors throughout the body. Specifically, they may attach to those receptors in the bladder that will support normal urinary control. Ingredients: apple pectin, arabic gum, brewers yeast, calcium sulfate, canola oil, chicken liver flavor, citric acid, glycerin, maltodextrin, mixed tocopherol blend, propionic acid, rosemary extract, silicon dioxide, sodium alginate, sorbic acid, soy lecithin, vegetable oil, water.